Brighton Removals and man and van service. Need a man and van in Brighton or full service removal team? 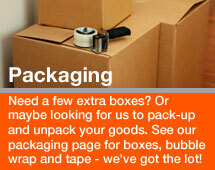 Our man with a van team can help you with removals, packaging, cleaning, and storage. We even offer a handyman service. 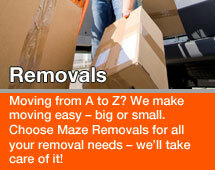 Removals Brighton is your one stop house or office removal solution. For domestic and commercial moves, big or small, you can even call us to get rid of unwanted furniture. Moving anything is easy with Maze! With affordable rates and professional service, you’ll make the right choice with Maze . Get a free quote for all your removal needs, whether you’re moving house, home, office or flat, we can help. Our man and van Brighton or full service removal team will make all the arrangements for jobs of all sizes. Our Man and van Brighton service offers you a flexible, affordable and efficient option for small moving jobs. We are available 7 days a week and are completely flexible, offering a service on short notice, so if you quickly need a job done then give us a call. Maze has a solution for all your moving needs. Get a free quote or call Maze on 0784 7541 036 or 01923 351 203. We'll take care of the rest. 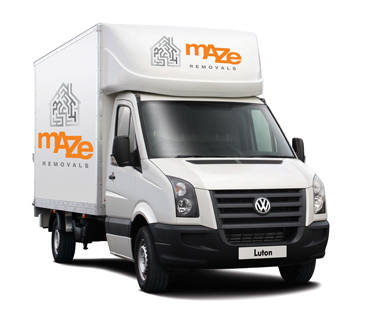 Maze Removals now offeres house clearance Brighton and all areas of London, Hertfordshire and surrounding counties. We will clear houses and flats of any size. Call us for a bespoke quote for House clearance in Brighton. 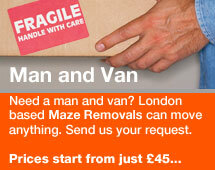 Removals from Brighton to London - share a van for a reduced price. 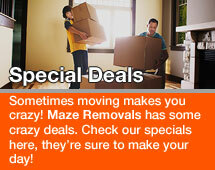 Maze Removals is your one stop removal solution. For domestic and commercial jobs, big or small, you can even call us to get rid of unwanted furniture, white goods or rubbish. Moving anything is easy with Maze !